With NAFTA’s dispute mechanism in doubt, the US is crippling the World Trade Organization (WTO), which sets the rules for global trade and resolving disputes. In related news: tariffs on China and Canada are shifting supply and demand channels; and the softwood dispute drags on. Elsewhere, the United Steelworkers seek improved pay; while timber industry jobs are being created in Mississippi and BC’s South Okanagan. In Forestry / Fire news: BC’s wildfire efforts—impacted by past beetle epidemics—are not enough, according to the Forest Practices Board; California’s wildfire recovery bill is Governor approved; and the Mail Tribune says wildfire smoke threatens Oregon’s economy and livability. Finally; mass timber is touted as the smart future for Toronto; wood-frame modular housing eases BC’s student housing crunch; and Cambridge University creates the longest, continuous tree ring-based diary. The US-China trade dispute is shifting the supply and demand channels for the forest product industry. 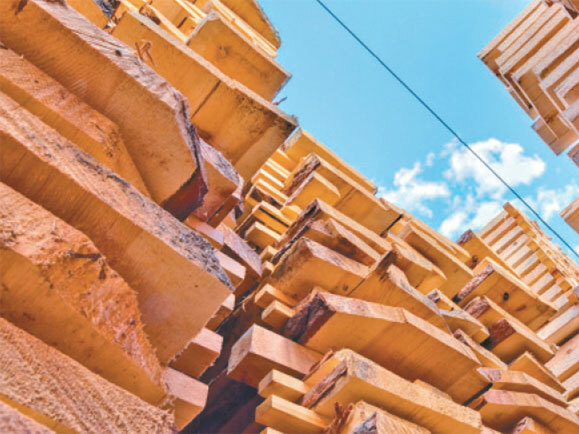 …Given the scope of the forest product industry, it is no surprise Trump’s trade war with China, Canada and other trade partners has hit the sector like an axe slamming into a tree trunk with global reverberations. …Each dispute is quite different from the other, aside from the Trump Administration view that the United States has been treated unfairly by their trading partner. …With the U.S. and China embroiled in an escalating trade dispute, other nations are benefiting. New Zealand and Russia are now the largest supplier of logs to China. …With the trade war escalating, it is likely that both China’s inputs like lumber and logs will come from sources other than the U.S. and outputs like furniture and manufactured wood products will seek markets other than the U.S. In the past few decades, it seems, there has been one complex issue that simply refuses to disappear from the highly substantial commercial relationship between the United States and Canada. For more than 30 years, softwood lumber has been a festering bilateral trade irritant – with a series of breakdowns triggering U.S. tariffs followed by agreements that do not take long to expire. The twists and turns have been continuing, though arguably these days not to the advantage of the U.S. home buyer. …In terms of the economic impact of the duties today for Canadian producers generally, significantly enough it has so far been relatively limited compared with similar duties in the past. …Another factor, too, has been the steady weakening of the Canadian dollar, presently trading around 75 U.S. cents. Investors and businesses are preoccupied with the fate of NAFTA and the escalating U.S.-China trade war. And rightly so. But an equally serious threat to the global trading system, and Canada’s place in it, is playing out at the World Trade Organization in Geneva. The Trump administration is engaged in an all-out war on the WTO… bluntly warned that if the WTO doesn’t “shape up,” he’ll pull the United States out of the 164-country organization, which sets the rules for global trade and resolves disputes. Short of quitting, the United States has been quietly doing its best to cripple the WTO from within. …The hobbled dispute-resolution regime matters a lot to Canada, which is currently fighting U.S. steel and aluminum tariffs as well as key aspects of the softwood-lumber dispute at the WTO. KAMLOOPS — The United Steelworkers (USW) and a number of the major forest companies in B.C. are getting set for mediation Monday. Local 1-417 USW President Marty Gibbons says their previous contract ran out July 1, 2018 for the vast majority of forest workers in the central, southern and northern Interior and anticipates some tough talks ahead. “It’s been an extremely difficult set of negotiations, with the employers taking what I believe is a ‘void and not meet with us’ approach,” he says. “We have even had to go to the Labour Board and had a fight at the Labour Board forcing employers in the south to the table. But we have been negotiating in the north for some time and the workers in the north have got a very significant strike vote (over 90 per cent). A South Okanagan manufacturer is preparing to open a new mill in OK Falls next month. Structurlam will be opening a new 35,000-square-foot facility in the town’s industrial park on Oct. 15th. It will employ 20 people to begin and is expected to employ about 20 more once fully operational. The company already has a 105,000-square-foot facility in the OK Falls industrial park and has plants in Penticton and Oliver as well. Structurlam engineers mass timber wood which is then sold to builders. The product is in growing demand, as staff say it’s a better way to build. 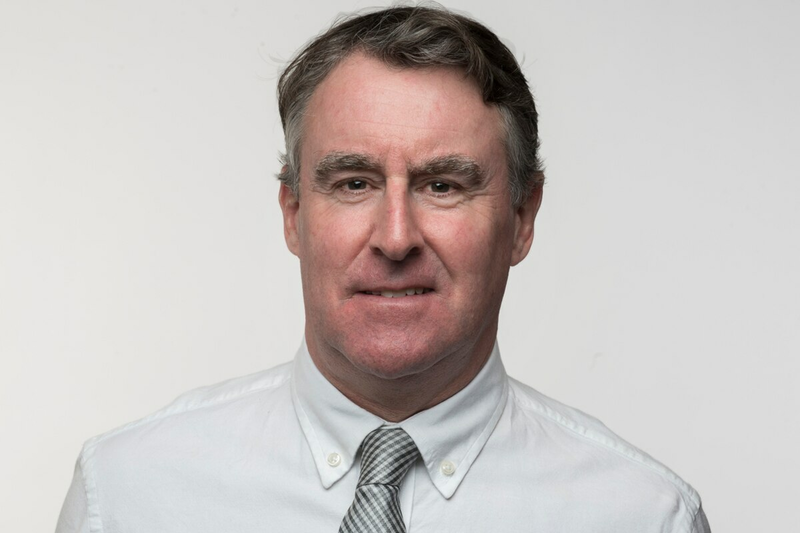 “In terms of environment, in terms of speed of construction, in terms of quality and in terms of cost, it really has very compelling reasons to adopt these products into construction applications,” Structurlam chief executive officer Hardy Wentzel said. STARKVILLE, Miss. – Forestry is a big business in Mississippi. Timber is bringing jobs to the state while boosting the economy. Over 60% of Mississippi is covered in forests. “Total impact in Mississippi is about $15 billion annually that includes the job associated with logging the job associated with sawmilling the job associated with trucking and hauling and all the aspects of what production furniture is a very big sector especially in this region,” said George Hopper. 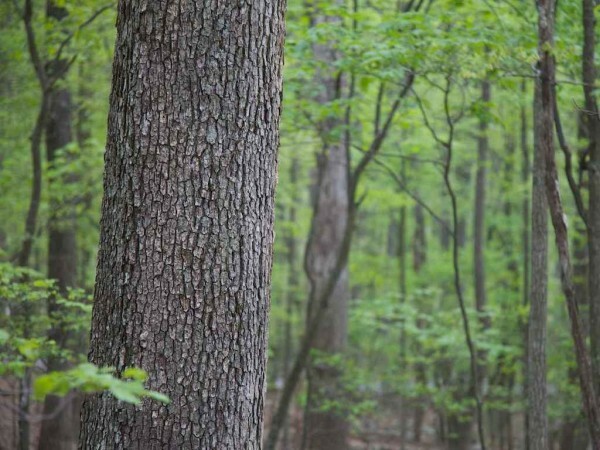 And Timber continues its growth in Mississippi’s Economy. “So the forestry industry is having a pretty good year there’s a lot of demand for wood right now as you look at some of the economic factors with housing starts and the cost of lumber is driving certainly some activity in the industry and has been throughout this year,” said Justin McDermott. LONDON — More than a half trillion dollars has been invested in renewable energy globally in the last two years. Over that same period, energy and natural resource consultancy Wood Mackenzie has built the world’s leading renewable energy market intelligence business. Today Wood Mackenzie formally introduces its new division, Wood Mackenzie Power & Renewables. Wood Mackenzie Power & Renewables will provide research and consulting on the transformation of the global power landscape. The 115-strong team based in 15 countries is made up of the former solar, energy storage, and grid edge experts from GTM Research, the wind consultants and analysts from MAKE and the global power team from Wood Mackenzie. “Over the last two years, we’ve invested heavily to integrate our datasets, our technology platforms, and most importantly, our teams,” said Mark Brinin, Executive Vice President of Wood Mackenzie. How do we visualize our future city to be like? Of course, the obvious answer is that the future city will be a smart one. But what does this smart comprise of? Sidewalk Labs, Alphabet’s urban city technology subsidiary and a tri-Government organization Waterfront Toronto have jointly presented a blueprint of an official City of the Future, Quayside. 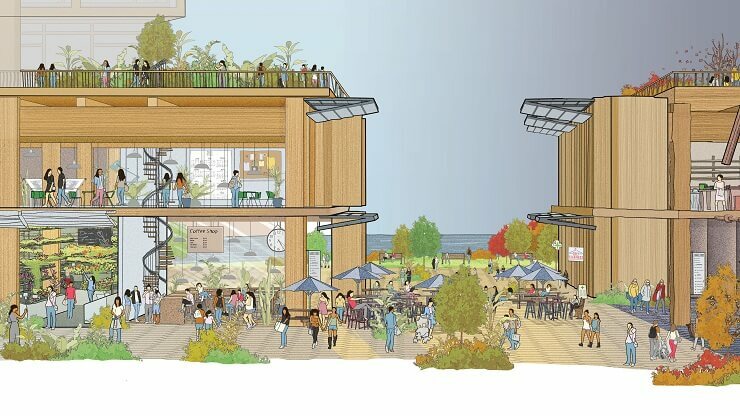 …In the latest gathering, Sidewalk Labs recommended constructing 100 percent infrastructure of Quayside with domestic and renewable Canadian timber. Canada is a leading supplier of certified forests that can be sustainably grown. …It is reported that by 2021, the government will sanction approval up to 21 floors with performance-based approvals for taller buildings. The Sidewalk Toronto committee proposed 19 storeys taller buildings with 42 and 50-story constructions in the future. One of Dunedin’s newest buildings continues to be recognised nationally, this time winning a national architectural award for its efficient and sustainable design. Te Pa Tauira-Otago Polytechnic Student Village won the multi-storey timber building category at the 2018 New Zealand Wood-Resene Timber Design Awards last week. At 6000sq m, the $22 million building is the largest timber-framed building by height and volume in New Zealand. Judges praised the efficient modular layout of the student accommodation complex because it enabled efficient off-site prefabrication, significantly reduced its construction time, minimised waste and reduced cost. They believed the building would help shape the attitude of a new generation towards timber. First, the good news: Experts say that after 15 years of serious neglect, the province is finally taking substantial steps toward reducing the risk of wildfires as well as their impact on British Columbians. The bad news is it won’t be enough to make a difference before the 2019 fire season. “It’s clear it’s not even close to enough. It’s slowly increasing, but from such a low level,” said Kevin Kriese, chair of the Forest Practices Board, the independent watchdog for forest management. Even if B.C. were to dramatically ramp up prevention efforts, he said, “it’ll take a decade or two to really get on top of it.” In the meantime, the province risks more record-breaking summers like the wildfire seasons of 2017 and 2018. …But for more than a decade, as firefighting costs keep climbing, the provincial government has dedicated a comparatively tiny amount to prevention. This year, a resident of the Olympic Peninsula was sentenced to 30 days in jail for felling and stealing a bigleaf maple on federal land near Olympic National Park. The theft was one of many tree thefts in Washington state since demand for the shimmering, curly-grain pattern found in some bigleaf maple wood skyrocketed about 15 years ago. …British Columbia sees its own share of such thefts from parks, Crown lands and private property. The problem was getting so bad that, in 2007, police started cracking down on mills that accepted and processed curly maple wood. By educating mill owners and managers, the police made it difficult for tree poachers to move and process the wood. …To help combat the problem across the region, volunteers from the U.S.-based non-profit Adventure Scientists have spent the past few months gathering leaves and wood samples from bigleaf maple trees up and down the coast. A proposal by a Terrace-based log trading company to cut a firebreak around Kitimat to protect the town from the threat of wildfires has been presented to Kitimat council. 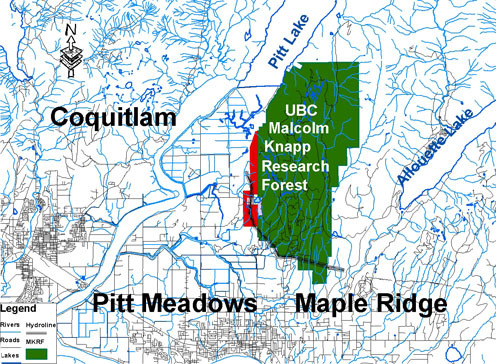 Canada Wood Fibre Corporation president Monty Bonter said the company had presented a proposal to the District of Kitimat that would see the company facilitate the cutting of a firebreak. He said the company would carry the logging and trucking costs for a percentage of the profits of the sale of the lumber, leaving the DoK potentially with $1 million in its coffers. “There would definitely be revenue for the District, not to mention that they would have their firebreak installed for free,” said Bonter. He said in the presentation the company had assured the DoK that the firebreak would be cut on district land and wouldn’t affect any privately held land. Correlieu Secondary School students are being given the opportunity to try out heavy equipment like excavators and bulldozers on school grounds today – all by simulation. The University of Vancouver Island is touring B.C.’s Interior with the Council of Forest Industries, giving students a chance to try out driving some big machines, in hopes that it might entice some into a career in the industry. VANCOUVER — Clearing or burning beetle ravaged forests may be costly but could mitigate against the kind of massive wildfires that have been seen in British Columbia the last two summers, say researchers. They say a large proportion of the forests that burned this year were affected by the mountain pine beetle about a decade ago. 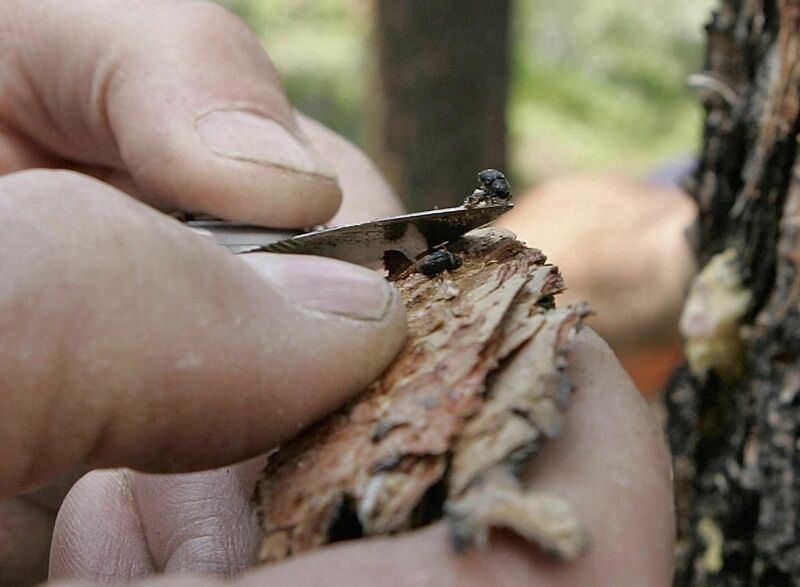 The mountain pine beetle epidemic affected more than 180,000 square kilometres. By comparison, the wildfires burned about 12,000 square kilometres last year and 13,000 square kilometres this year. Daniel Perrakis, a fire research scientist with Natural Resources Canada, said removal of dead wood from the affected areas would also remove fuel for fires. But, he added, the affected area is huge and it would take money and effort to tackle. You may know me now as a “blockader” against clear cut logging. I want you to know that my cause is not against you, personally; I am not bullying you. I am blockading exploitative industrial activities because I care about Earth and our future generations. 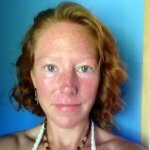 How can we cooperate together to create a sustainable healthy future for ourselves and our children? I believe we share common ground. I believe we all want clean air, water and soil, an abundance of fish and wildlife, beautiful forests, and long term livelihoods where we can feel proud of how our skills contribute to a better world and we feel valued by others. I see how hard you work to feed your families and provide them with a comfortable life, and I know you care deeply about their well- being and also the well-being of Earth and all people. The Canadian Food Inspection Agency says it has confirmed the presence of an invasive, tree-destroying beetle in Nova Scotia. 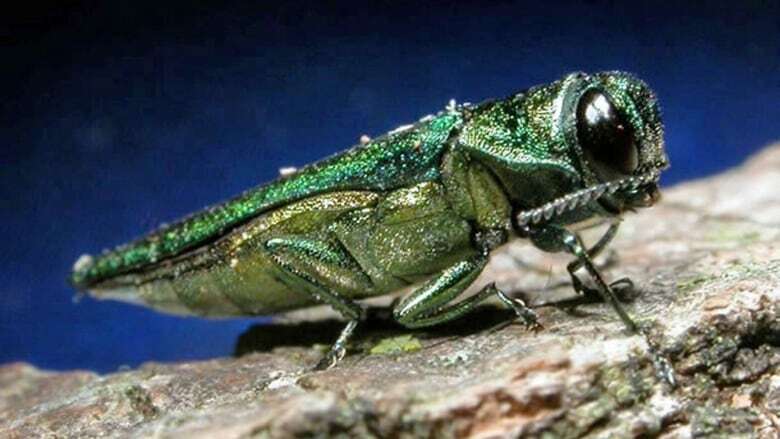 The CFIA says the finding of the emerald ash borer at a site in Bedford, N.S., is a first for the province, which is outside the areas currently regulated for the beetle in Canada. The emerald ash borer was also detected in New Brunswick earlier this year after doing significant damage to ash trees in certain areas of Ontario, Quebec and Manitoba. The CFIA says more survey work is being done to determine whether the pest has become established in the area where it was found and whether it has spread. It says the movement of all ash material such as logs, branches, and woodchips, and all species of firewood from the affected site, has been restricted. 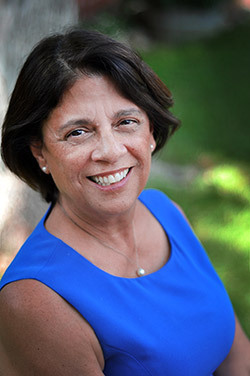 A wildfire recovery bill package authored by Assemblywoman Cecilia Aguiar-Curry, D-Solano, was signed by Gov. Jerry Brown. These wildfire-related bills, according to Aguiar-Curry, will ensure that California is better prepared to prevent future wildfires, combat them when they do occur and recover in the aftermath. …AB 1772 extends the amount of time a home or business owner has to rebuild an insured property from two to three years after a declared wildfire emergency and receive the full replacement cost they paid for in their policy. …AB 2380 requires the state to develop standards and regulations for privately contracted fire personnel during active fire emergencies. Confusion about whether these contractors are first responders can lead to the assumption by members of the public that they are safe. …the Mail Tribune Editorial Board believes the wildfire smoke that has plagued our valley in recent summers is the biggest threat to our economy and the livability of Southern Oregon that we have ever seen. We want to change that. We don’t pretend to have all the answers, nor do we think there is one magic solution that will bring a sudden end to the smoke. But we call on the vested interests on all sides of the forest management debate — who have been arguing for decades on how much to log, thin or let burn — need to stop digging in their heels and come to a consensus on meaningful action. Now. The latest salvo in the timber wars was fired recently when a group of academic scientists representing the environmental movement sent a letter to Congress objecting to pro-logging amendments in the 2018 Farm Bill. SPRINGFIELD — The U.S. Bureau of Land Management’s decision to allow logging on forestland next to the Thurston Hills Natural Area has alarmed Springfield and Willamalane Park and Recreation District officials, conservation groups and mountain bikers alike. But it also has spurred a debate on the wisdom of harvesting timber near urban areas, and right next door to hundreds of acres of land envisioned as a haven for hiking, bicycling and nature enthusiasts. The BLM last week announced Seneca Sawmill Co. as the lone bidder for the right to log 100 acres of BLM land south of South 79th Street in Springfield and outside the city limits. The land is part of a 270-acre parcel of BLM land, the northwest corner of which lies within Springfield’s urban growth boundary. The property is listed in BLM documents as the Pedal Power sale. …This week, The New Hampshire Division of Forests and Lands and The Conservation Fund announced completion of a multi-year effort to secure 24,000-acres of working forestland in Coos County near the Appalachian National Scenic Trail in the Mahoosuc Mountains of Gorham, Shelburne and Success. The private-public partnership recently acquired a working forest conservation easement on 14,987 acres owned and managed by private landowners using funding from the U.S. Forest Service’s Forest Legacy Program, through the federal Land and Water Conservation Fund, and state and private funding. This easement …ensures the forest will be sustainably managed for the production of responsibly harvested timber and will be open for public outdoor recreation, including hunting, fishing, hiking and motorized recreation into the future. The forestland will continue to support local and regional jobs while providing timber to mills in New Hampshire, Maine and Canada. BELCHERTOWN, Mass — The newest piece of protected land in Belchertown commemorates a naturalist and educator who made significant contributions to the environmental movement of the 1960s. Donald Mader was a professor and eventual head of the University of Massachusetts forestry department. He studied soils, particularly how pesticides, herbicides and pollutants affect the health of plants, animals and people. …In 1965, Mader purchased a piece of land in Belchertown where he practiced the sustainable forestry practices he studied. After death in 1987, he left his family with 86 acres of forestland filled with memories. For Mary Mader, 82, conserving the forest was the perfect way to honor her husband’s legacy. PAKISTAN — We all know the story of an aged person sowing the seeds for a tree that matures late. Their aim was to provide shade and fruit to their grandchildren. Sadly, a generation or two forgot this lesson. …The soil of the country has been deprived of key nutrients due to excessive use of water and chemical fertilizers, while environmental pollution has further deteriorated conditions. Thus, saplings placed in this type of soil start their lives with clear disadvantages, even if they eventually manage to grow. Post-plantation care of these saplings is also missing unless it’s part of landscaping in cities with budgets and staff. …The Prime Minister has rightly emphasized on making this earth green again. Countries have been experimenting with fast growing and biodiverse forests, especially in urban areas over the past few decades. ELK RIDGE, UTAH — The Pole Creek Fire passed 100,000 in size by Sunday morning, and fire officials say that there is additional growth potential throughout the day Sunday. According to the U.S. Forest Service, the Pole Creek Fire was reported Sunday morning at 101,423 acres, with the Bald Mountain Fire at 18,596 acres. The Pole Creek Fire is 34 percent contained and the Bald Mountain Fire has reached 20 percent containment. Firefighters are expecting high wind speeds and low humidity on Sunday, with it being a red flag day, which the U.S. Forest Service says could lead to increased fire activity. In the early afternoon, a cold front is expected to move across the area, producing potential for thunderstorms and for a change in wind directions. JACKSON COUNTY, Colo. — Warm temperatures and dry conditions allowed a wildfire burning along the Colorado-Wyoming border to continue to spread, officials said Saturday. The Ryan Fire has burned at least 2,986 acres in Jackson County, Colorado and Carbon County, Wyoming. It is burning about 27 miles northwest of Walden. Containment remains at 0 percent. Officials said firefighting crews have been challenged by weather conditions, which were described as “extremely dry.” Humidity values were measured at just 8 percent. An area closure is in effect for National Forest System lands near the Ryan Fire. Portions of both the Routt and Medicine Bow National Forests are affected. Hunters planning to go to the area are urged to get a closure map before beginning their trip. The Ryan Fire began on Sept. 15. Its cause is under investigation. 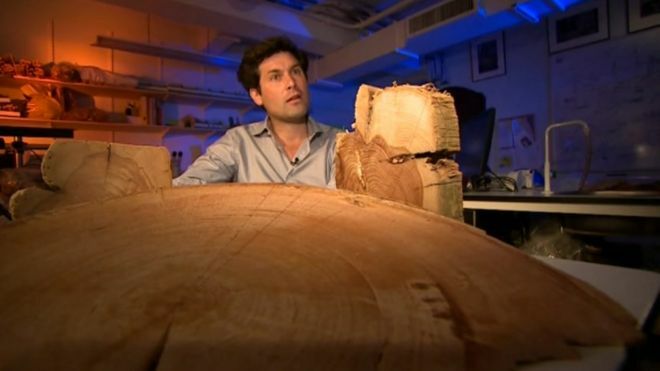 The “longest, continuous tree ring-based diary” is being created by scientists at the University of Cambridge to help map climate change. The diary documents climatic conditions going back centuries, using trees from across the world. Trees are weather-sensitive and their rings can give clues to rainfall, temperature and even tsunamis. Prof Ulf Büntgen said the technique recently uncovered evidence of an ice age that started in precisely 536 AD. It followed a cluster of volcanic eruptions that triggered a very cold period of 100 to 120 years. By reconstructing historical climates, scientists can analyse if the recent warming is unusual. Tree rings are as distinctive as fingerprints and the team is working with volcanologists, historians and archaeologists. They want to discover how communities have been affected as changes in climate have coincided with plagues and mass migration.